Tender, Fluffy Biscuits Without a Drop of Butter or Flour? Yes, Please. *Almost* too beautiful to eat. The Southern-staple recipe video we’ve all been waiting for. Our regular contributors pick the recipes they are most proud of sharing. ...and not just because there's bacon in it, too! Is This Ingredient the Secret to the Best Biscuits of Your Life?! Probably not... But wait: Don't stop reading now! Grace Cowan was cooking pork belly years (and years and years) before it was cool. Apples and Gruyère add a perfectly paired bite to these biscuits. Cheese, herbs, and toasted pine nuts transform a basic biscuit into something you'll want to serve at every party, ever. Sweet and savory kale scones with pine nuts, currants, and pecorino cheese. Life's better with a bit of butter and flour. Beyond the biscuit: 14 ways to use buttermilk. 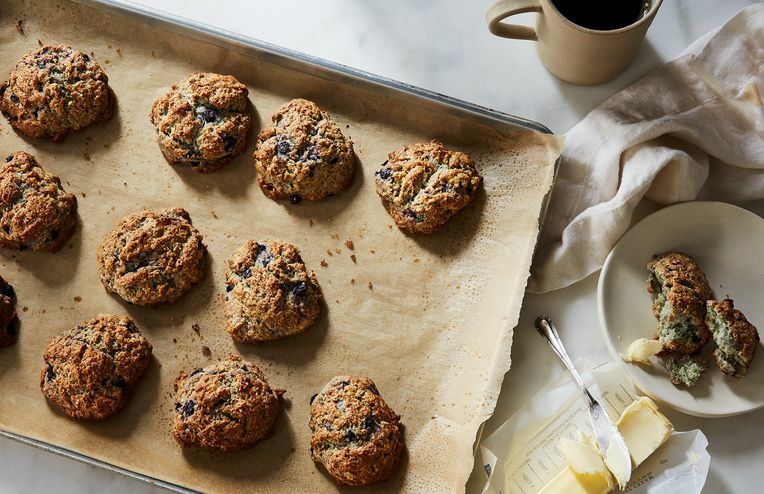 If Ina Garten's and Kim Boyce's scones had a baby, this would be it. It's perfect: sky-high,airy pockets. Shhh. Don't tellme it's made with lard. A garlic cheddar biscuit that is utterly habit-forming, and seriously simple to bake.